No one enjoys the sinking feeling of getting to work, school, or vacation and wondering whether you remembered to lock your front door or activate your alarm system. Worries like that can distract you from getting anything done until you have an opportunity to check or make sure that your home is secure. With a Vivint Smart Home system, you can make those adjustments easily and quickly with just a few entries on your smartphone. However, security and convenience aren't the only benefits of having a smart home system installed in your home. Our alarm and automation systems can save homeowners money on energy bills, help to keep away intruders and vandals and give peace of mind that comes with knowing your property and your family are safe and secure. 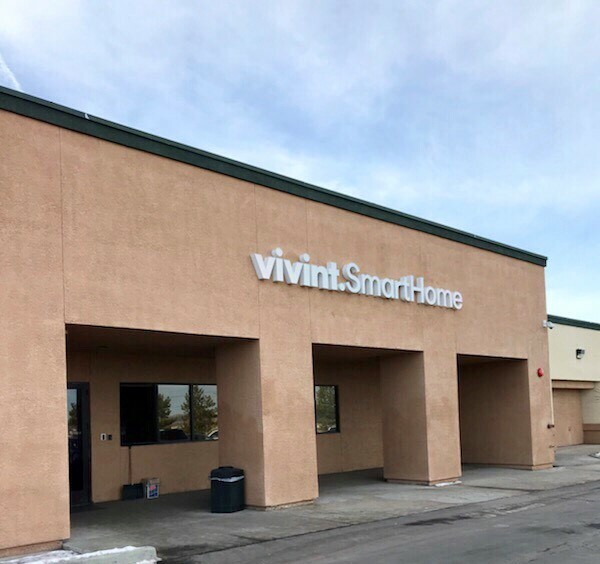 Vivint is the leading provider of smart home systems in the United States and Canada, with more than one million satisfied customers. Our systems don't just respond to your programming, but actually, anticipate your needs. Our intuitive system track your usage habits and proactively adjusts settings around them so you and your family stay comfortable in whichever room you are without even thinking about it. If you've hesitated to inquire about a smart home system because you feared such systems were too expensive or because you live in an older home, it's time to reconsider. Our security and automation systems can be adapted to virtually any Cedar City home and cost only about what you already pay for your monthly mobile phone service. What are you waiting for? The often heavy snowfall around Cedar City is beautiful, but it can cause homeowners to be concerned about their properties when they are away. With a Vivint Smart Home system, you can keep an eye on your home even when you're away at work or on vacation. Outdoor security cameras—With Vivint's HD outdoor surveillance cameras, you can see if your home is getting hit by a blizzard or if the snow is passing over your property. Our infrared technology lets you keep an eye on your home even when it's dark outside. Smoke detectors—Early warning is essential to minimizing the damage of a house fire. That's why our sensors alert you and a 24/7 monitoring station when they detect smoke OR excessive heat to keep you and your family safe. Door & window sensors—Increase your home's security with window and door sensors. We'll alert you and the monitoring station whenever an entrance point is breached when you're not at home. You can even use them on interior points, so you have control over your medicine or gun cabinets. Your family's security is a priority for us at Vivint. As a security and automation provider, we make it easy and affordable to have the peace of mind that come with knowing your property and your family is safe. Isn't it time you added a smart home system? Give us a call for a quote and to learn more about our monitoring, installation, equipment and cameras. As important as your family’s and your property's security is, keeping your home safe is not the only reason to invest in a system. Our intuitive, whole house, smart systems can help you save energy (and dollars), save you time and effort, and help keep your home cozy and comfortable for you and your family. Energy savings—The unpredictable weather in Cedar City can make choosing the right setting from your thermostat a challenge. With Vivint, you can make adjustments via your smartphone, so you can won't waste energy when the weather changes. Comfort—Our intuitive system anticipates your arrival back home and will turn up the thermostat right before you are due home. That means you'll always arrive home to a comfortable home and not have to wait for the temperature to cool down or warm up. Convenience—With a system, you don't have to get up and walk to the thermostat, the front door or, the in-home control panel to make adjustments. You can turn up the heat, activate your alarm system, and lock the front door from anywhere you have cell phone reception. We think you'll be surprised how much a Vivint Smart Home system will improve your family's quality of life, all while saving you money on your monthly utility bills. It costs very little to get started. What are you waiting for? It's much easier than you probably think to start reaping the many security, convenience, and energy-saving features of a Vivint Smart Home system. You don't have to live in a brand new home; we can install our systems in virtually any Cedar City home, from classic colonials to mid-century ranch-style homes to new construction. We make it very affordable to get started. We provide all of the labor and equipment necessary to set up your system. We will provide you with home automation and security devices and free professional installation by our Vivint Smart Home Pros! All you pay is a modest, monthly fee that's around what you currently pay for your mobile phone service. Don't you and your family deserve the peace of mind and security that comes with a smart home system? What are you waiting for?